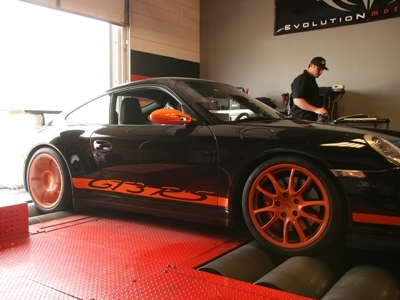 The GT3 ClubSport Performance System improves performance by reduced exhaust backpressure and improved engine computer tuning. 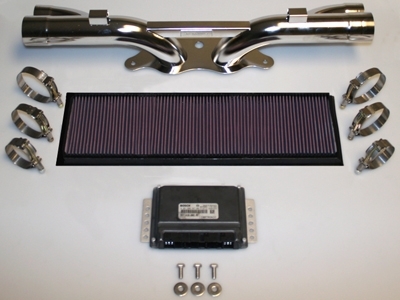 The upgrade consists of a high flow cotton drop-in panel filter, EVOMS / Sharkwerks muffler bypass pipe and EVOMSit Intelligent Tuning Performance Engine Software. These three components combined increases performance while maintaining engine reliability and driveability. Power is improved by 18 HP and 19 ft/lb of TQ on 91 octane fuel. 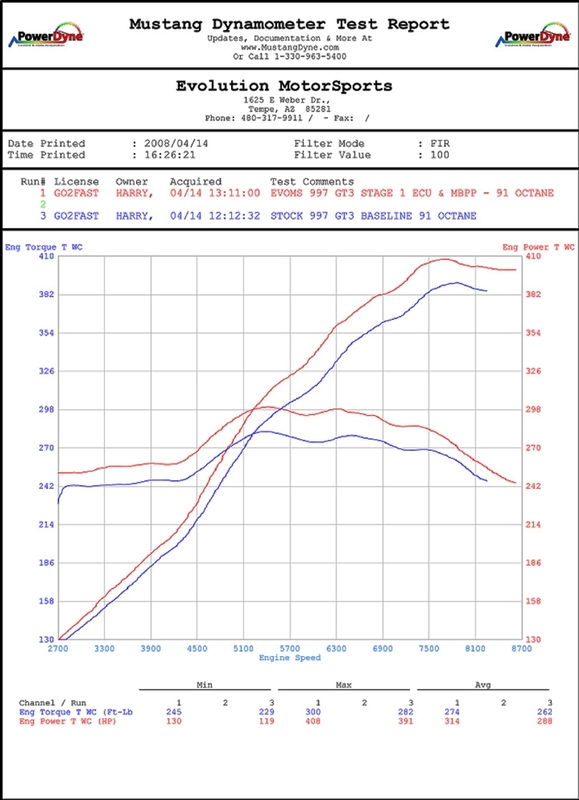 Power gains on 93 octane fuel are slightly higher. This is the perfect addition for the street and / or track driven GT3 / RS.